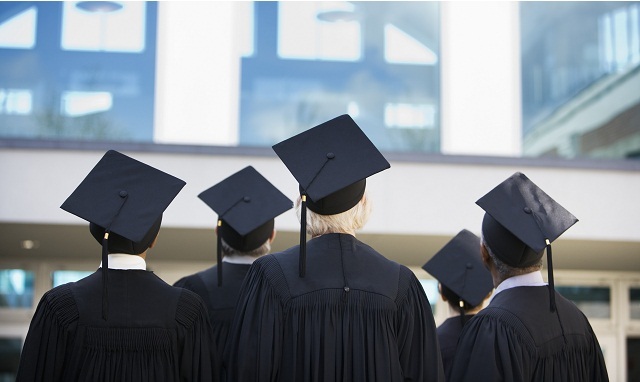 A degree in MBA is an educational career dream for many students these days. The reason behind it is the fact that an MBA degree comes with a huge promise of catapulting one’s career to higher and better level of success. Ansal University is counted among the top MBA colleges in Delhi that imparts quality education and training which is unrivalled and unsurpassed in its field. Big companies, powerful designation: One of the most obvious advantages of holding an MBA degree is that it puts forward the fabulous opportunities of working on a position that has great respect, significance and authority. There are always ample chances that an MBA would find exciting employment offers from many corporate giants. And working with them on a designation of pivotal importance is definitely a feel-good factor. Whopping pay-packages: Since most MBAs who are smart and competent, get wonderful job offers in big-scale companies, it’s a given that they also get paid hefty salaries. Additionally, not just the just payrolls are high but also the incentives and perks offered as a part of the employment contract are highly tempting. A solid business network/contact: Working for the best and the biggest corporate players or even upcoming ventures for that matter helps MBA graduates in building a solid and wide network in the business arena. Having important contacts in the right places only translates into their personal growth. This aids the professionals in performing much better, and also makes switching much easier, as and when needed. Enormous future prospects: The kind and amount of experience that MBAs get while working as management professionals with recognized names in the industry, opens up bigger and better avenues for their careers ahead. They can make concrete career plans for present as well as future on the strength of this significant benefit. Grooms one’s personality: Working as a management expert entails mastering various relevant departments and honing numerous skills such as: communications/interpersonal skills, power of persuasion, business networking etc. This not just magnifies a professional’s expertise but also grooms his/her personality immensely through on-the-job exposure. And this is exactly what paves their way to further success and elevation in their careers.